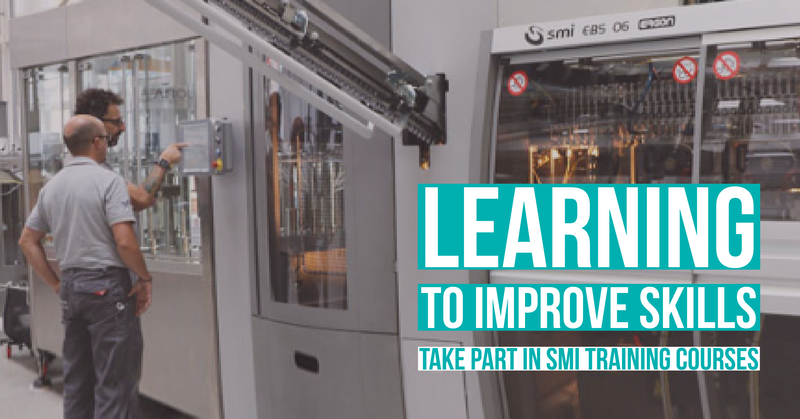 Take part in SMI training courses! Get more familiar with Industry 4.0 and IoT-compliant advanced technologies SMI machines are equipped with, so as to increase their operational efficiency and get the highest benefits out of them. We've created detailed training programmes to share with you our 30-year experience in the bottling and packaging sector! Who are they addressed to? Our courses are addressed to line operators, maintenance technician and production, electrical, electronic and mechanical managers who are keen to get the highest benefits out of the machines they use. The methodology adopted includes a theoretical training carried out in classrooms by specialized trainers and practical sessions in the machine assembly lines. The optimal number of participants is 6, so as to ensure an effective acquisition of technical know-how and enable attendees to properly assess the course benefits at the end of the training path. At SMI HQ in S. Giovanni Bianco. On-site courses at the customer's factory can also be arranged, providing that a suitable room for theoretical classes is available and that machine production can be halted during practical sessions. Visit our website or contact SMI training department in order to find out the programme that better meets your expectations, according to course duration and topics covered.